We believe IT is for all. 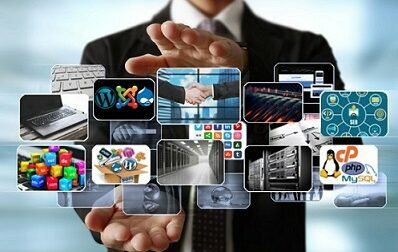 Through Pump IT Solution, everyone and every business be it big or small will enjoy the benefits of IT. Do not worry about cost. We don’t burn pockets, we are here to help. Our prices are transparent and there are no hidden costs. We strive to provide a fast reliable service. We are passionate about our work. Every single detail matters to us and makes a huge difference. We have years of experience and are always constantly upgrading our skills to keep ourselves relevant to technologies. Anytime, Anywhere. We are always here 24 hours to provide you support and always ready to rescue. We care about you. Pump IT Solution started with a small team of established Tech-Savvy professionals who were bored and began getting restless with our lives. We then agreed that before we start killing each other for fun, it will be best for us to come together and spread some good by providing our expertise at an affordable price but yet creative ways. We come from a far far away land once called Temasek. In our previous lives we have worked in all corners of the world. We have managed global projects and also managed virtual teams. Despite wherever we go we do not forget our roots. We are true blue Singaporeans. Pump IT Solution is on a mission to provide better, cheaper and faster IT Services. We will even do “Pro-Bono” services to charity organizations, voluntary welfare organisations, to all those out there with a mission to help society and to all those in need. Pump IT Solution focus on 5 core services namely Website Design, Hosting, Domain Name, Internet Marketing and IT Services. Pump IT Solution is here to serve individuals, start-ups, SMEs, business owners, charity organizations, voluntary welfare groups and all those in need. In short, we serve everyone! Pump IT Solution truly understand the needs for IT and are well aware of the sky high prices which only the rich and famous could afford. Do not worry about cost. We don’t burn pockets, we are here to help and prove that IT is affordable and for everyone. We are here to not only to offer cheaper, better, and faster services but also to provide a superior customer experience and tremendous value for customers. You can just sit back and relax…We will Pump IT up for you! "There is no sincerer love than the love of the things you do"